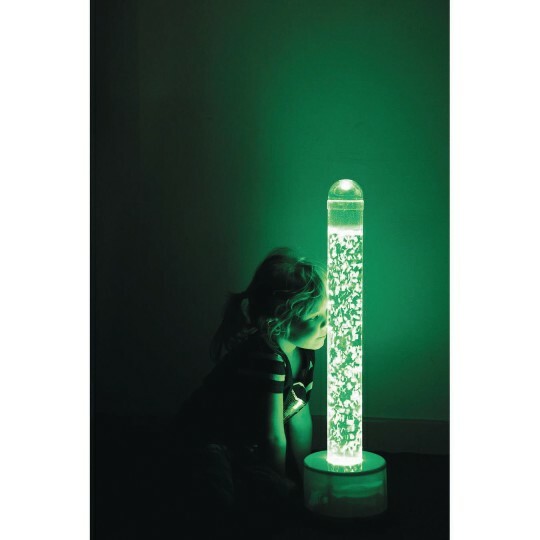 The economical solution for your sensory environment. Slowly changes colors and creates rising bubbles. Particularly helpful for restless individuals. Great for those who need soothing prior to sleep. Smaller size makes it easier to move if needed. 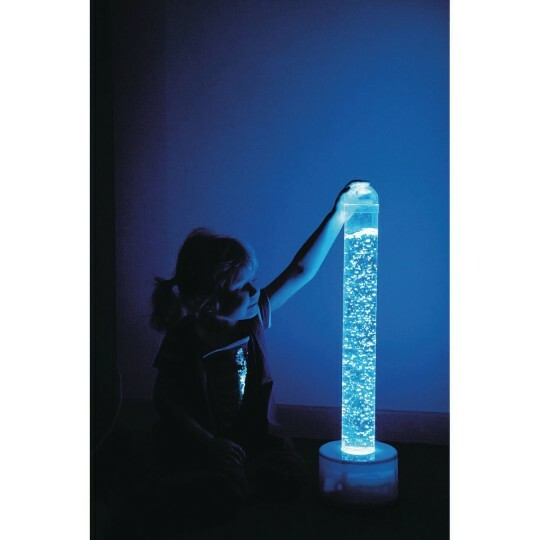 The perfect economical solution for your sensory environment, the Portable Bubble Tube slowly changes colors and creates rising bubbles that are sure to relax and calm. Particularly helpful for restless individuals or those who may benefit from soothing prior to sleep. Smaller size (less than 44" high with the included base) makes it easier to move if needed. Operates on low voltage with the supplied transformer, which requires 110V AC power. Tube measures 40"H x 4" diameter. Tube base measures 12" diameter x 3-1/4"H.